You hear a lot about the 1% wealthy and the 99% rest regarding money but the same figures could be applied to anyone who has ever gone to high school with the figures being 1% who were happy and 99% rest of us. In "Dear Evan Hansen" we deal with 5 teenagers in the latter category. Evan Hansen's father left 10 years ago and his mother Heidi is going to night school to become a paralegal and works during the day as a nurse's aide leaving little time for her son. Evan sees a therapist regarding his social anxiety who assigns him to write letters to himself and this leads to the story. 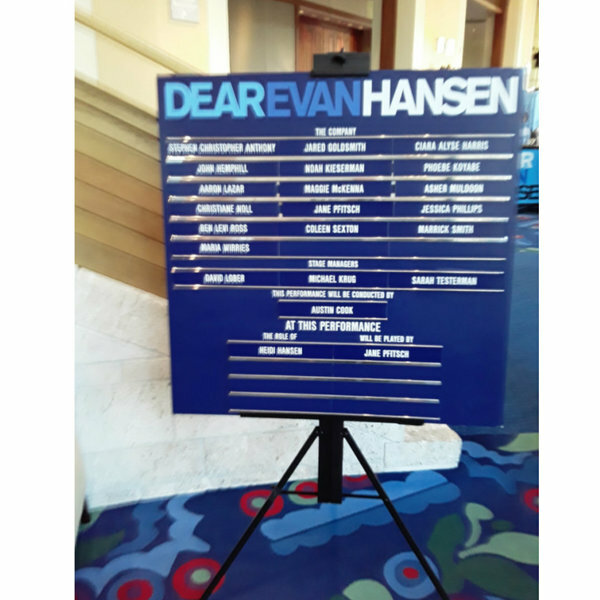 Ben Levi Ross is phenomenal as Evan Hansen with a voice that filled the Broward auditorium and hanging on to every word when he went soft. As his mother, Jane Pfitsch, moving throughout, really got the tears flowing with "So Big/So Small". Along the way we meet and get to know 4 other teenagers from Connor, played by Marrick Smith, who is an addict and bother of Zoe, (Maggie McKenna), along with Alana, (Phoebe Koyabe) and Jared (Jared Goldsmith), who offer some comic relief but are just like Evan, wanting to be heard and seen through any means. The other two members of the cast are Aaron Lazar and Christiane Noll as the parents of Connor and Zoe. All 8 actors have perfect voices, move fluidly around the stage and are so subtle in their actions you forget they are actors! As heralded as the original New York production was/is I would match this cast against them and it would probably become a tie. 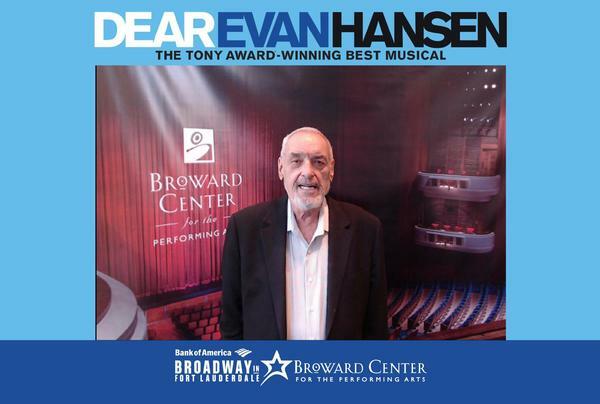 The book was written by Steven Levenson and music and lyrics by Benj Pasek and Justin Paul, which will bring you to tears, provide a few laughs and, maybe, realize how hard this world is for a teenager. Pasek and Paul also wrote the music and lyrics for "The Greatest Showman" and listening to the "Dear Evan Hansen" broadcast album, which won a Grammy, is as moving as the stage production. You will be humming many of the songs after hearing them either on the stage or the album. Talking about the stage production between the Scenic Designer, David Korins, and the projection designs by Peter Negrini portray the world of technology that we, and especially teenagers, are caught up in today. Pardon the pun but the Lighting design by Japhy Weideman is spot on and impressive. This is definitely a show for all teenagers to help them realize that they are not alone, not invisible and for all adults who may have forgotten the pain of being a teenager. With a 20 minute intermission, the show is 2 hours and 45 minutes.